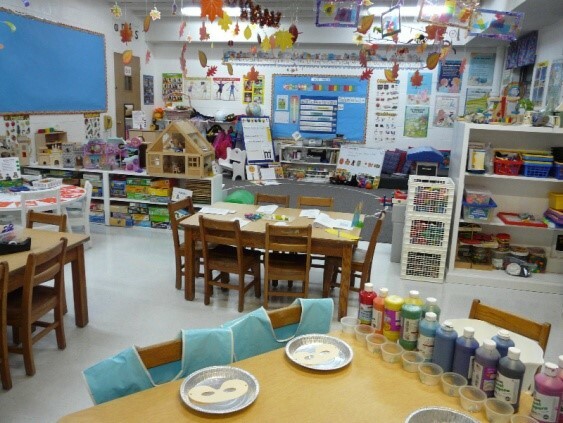 RPCNS is a secular, non-profit, cooperative preschool that emphasizes play-based leaning and parental involvement. 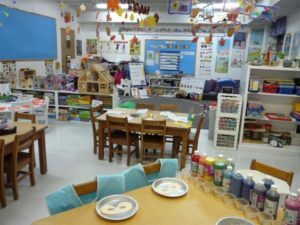 Our unique model offers the parent the opportunity to be an active participant in their child’s first school experience. Our parent members work together with our professionally trained teachers to create a safe, nurturing environment for our children. Located in the heart of historic Rockville, RPCNS has been a fixture of the community for over 50 years. We offer morning only and full day options with a variety of levels of parent involvement. We offer an on-site sibling nursery as well as before and aftercare. Optional Before Care starts at 9am. Optional Aftercare available until 3pm. Enrichment options: Science, Cooking, Art, Books Alive, Soccer, etc. Minimum enrollment age: Children must be the age of the class by Sept. 1st of the enrollment year.